Are you surfing this site on an old computer? Struggling to download music and movies? Then it’s time for an upgrade with Conn's HomePlus. on all electronics $999 and up between 4/21/19 & 4/28/19 with your Conn's HomePlus HOME Credit Card. Equal monthly payments required for 36 months. Put Conn's HomePlus to work for you! For over 5 million customers we provided a better payment option by stepping in and lending to them directly ourselves. Shop quality computers at Conn's HomePlus - where we offer a variety of fast, feature-rich desktop computers, laptops, printers and accessories. Whether you're a business owner or a college student, you can find affordable options with us. More than that, we offer financing on Conn's computers so you can get the product you need, right when you need it. Prequalify Now YES MONEY®, and you can get an answer instantly! * *Online prequalification only. Subject to credit approval. $21 per month payment based on 15BS065NR. 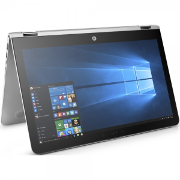 Laptop computers are a must in today's academic and business worlds - offering everything from on-the-go connection to word processing to business software. Conn's HomePlus carries laptops from some of the best brands in the industry, at various price points and in assorted styles. Desktop computers give your business or household a way to stay connected. 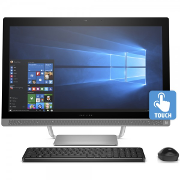 Create presentations, download music, store photos and more on a new, all-in-one touchscreen PC. If you're ready to upgrade your tired desktop to a newer model, Conn's computers can help. 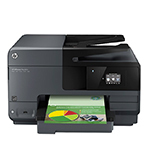 Printers make it possible to print forms, photos, contracts and other documents all from the comfort of your home or office. Conn's HomePlus printers offer innovative design, mobile printing and affordable color quality - shop our selection to learn more. Computer accessories complete your computing situation. 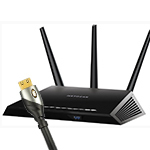 Among our options, find speed-boosting Wi-Fi routers, multi-plug power centers and more to serve you. Computers are now essential to everyday life. Students have to write papers, do online research or even take virtual classes. Families shop online and stay connected through social media. A dependable computer is a must-have - and here at Conn's HomePlus, you'll find quality desktop computers, laptop computers and the necessary accessories. 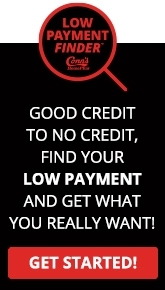 When you find the products you desire, talk to us about financing to make your purchase possible! Through our unique program, you can get an answer instantly to know if you qualify. Whether you need a computer, printer or other computing accessories, Conn's HomePlus is your trusted source. We make it easy for you to stay up to date. Qualify today for YES MONEY®!